To keep the spirit of their culture alive, today’s newlyweds Jenny and Shawn changed their western wedding attires for traditional outfits before starting the propitious celebrations. 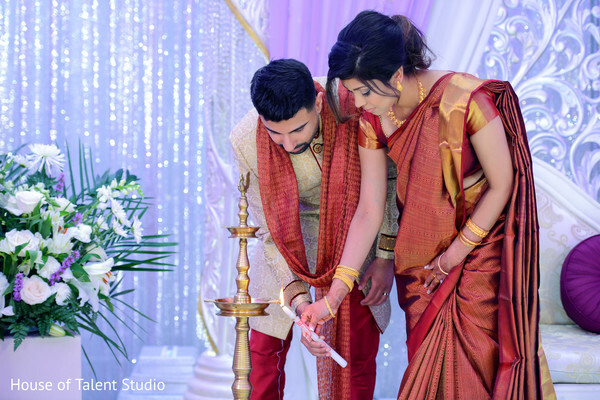 Our bride Jenny shined in a deep red silk saree with golden motifs which matched the henna paisleys designs by Heena Das Beauty adorning her hands. 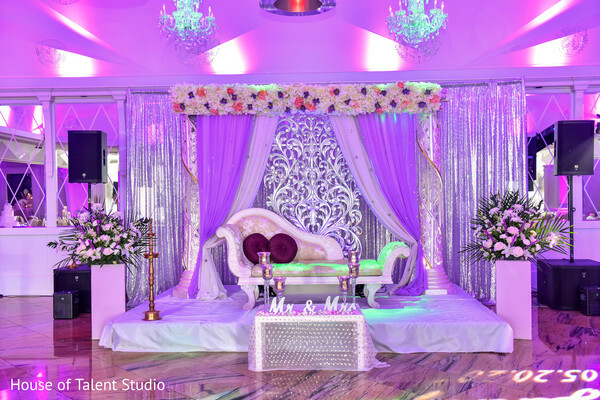 Pedestals Floral Decorators took the reception décor to the next level with a silvery sweetheart stage framed with two splendid columns that displayed a bed of flowers at the top! 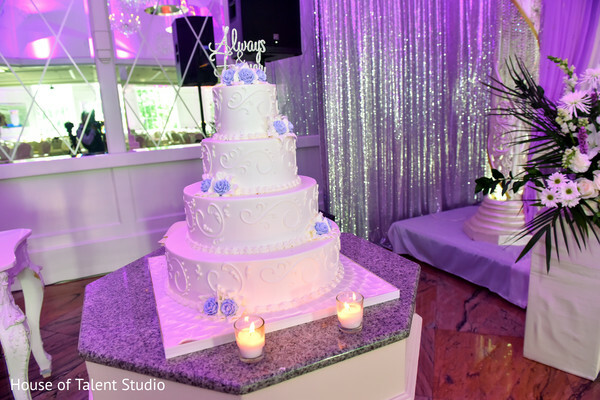 The violet hues reigned during the night from the florals to the Palermo Bakery’s majestic white wedding cake decked with delicate lavender buttercream flowers and a perfect “Always and Forever” topper. 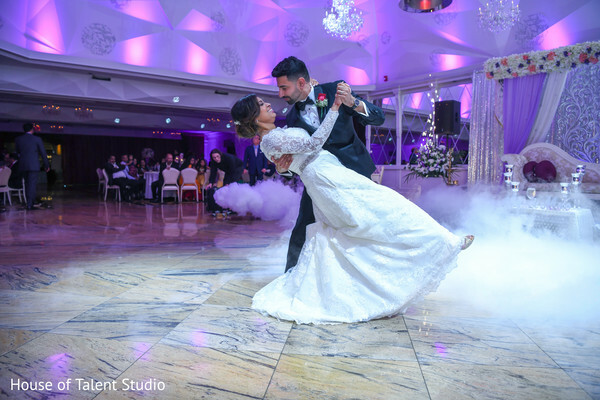 In the middle of a romantic midst, Jenny and Shawn had a timeless first dance accompanied by Aldo Ryan Entertainment’s music which House of Talent Studio recorded with the rest of the fantastic moments that included a lovely dinner, the speeches, and the cake-cutting! 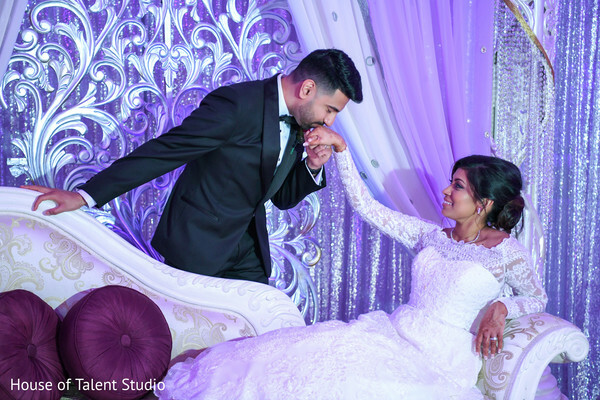 Get a glimpse of this cute pair special day in our full gallery! 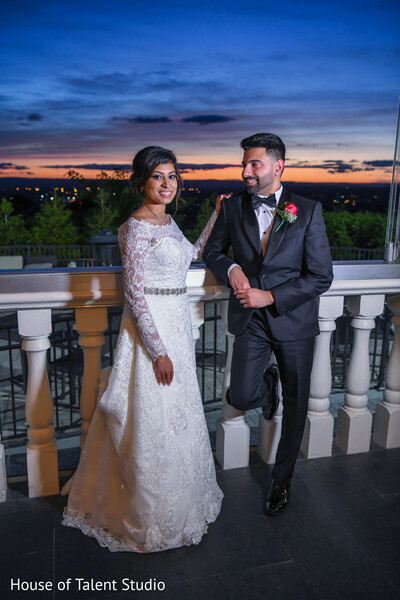 How did you meet your Groom and when did you know he was "the one"? Share the scoop on your Proposal Story! First time in New York...First time in Central Park...and I got proposed!! I went to New York a few weeks ago thinking we were going to do our E-session that Friday and spend the weekend with the family. Little did I know Shawn planned a proposal in the middle of the E-session. A few minutes later as we were getting closer to the spot, Shawn asked me if I needed to use the bathroom. 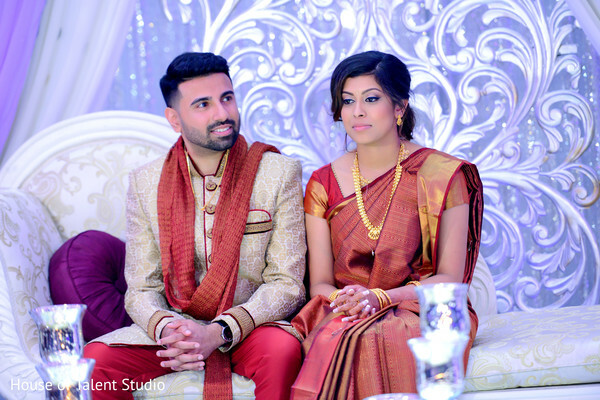 I said no (little did I know he was trying to get me away so he can talk to the photographer, Sudeep about his plan). Since I said no, Shawn and Sudeep went to the bathroom and then a few minutes later they both came out together. I thought to myself, “Wow they waited for each other? “ After the bathroom break, we continued our shoot. We then took a quick break because we got tired of walking. As soon as Shawn and I sat down, the photographer said he will go ahead to find a good place to set up the camera and that he’ll call Shawn when he is ready. A few minutes later Sudeep called Shawn to head over. We got up and started walking over the Bow Bridge. As I was walking down the bridge, I saw candles and flowers by the boat dock to my right and I thought to myself “OMG someone is going to get proposed” and really wanted to see it but I thought we would run out of time since Sudeep is waiting for us. We continued to walk and then I noticed we were walking towards the proposal place that I noticed from the bridge and went “OH MY GOD!” That’s when it hit me. It was all for me… Words cannot express how happy I was. The place was so beautifully decorated with candles, rose petals and pictures of us and we had a whole audience screaming for us from the bridge. The funny thing is I was kind of mad at Shawn before all this. Before I came to New York I was wondering why he would set up an E-session without even proposing to me. I even tried to get him to cancel the e-session lol. But now I see it was all part of the plan and I couldn’t have asked for a more perfect proposal. 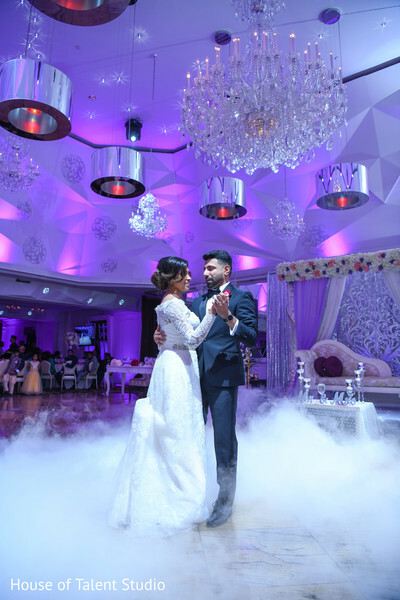 Tell us how you went about planning your wedding, and your overall experience with the Venues, Hair & Makeup, Outfits, Decor Theme, and all of the other important details. How did you select your bridal lengha or wedding dress? Did you have a favorite color in mind? I always wanted a white or ivory wedding dress and maroon saree for reception. What was the most enjoyable part of the planning process, and why? It was definitely stressful but it was lots of fun..kinda miss it now. 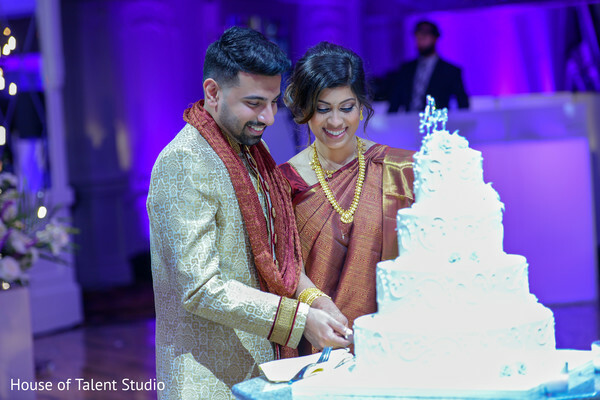 What did your guests particularly love about your Wedding? 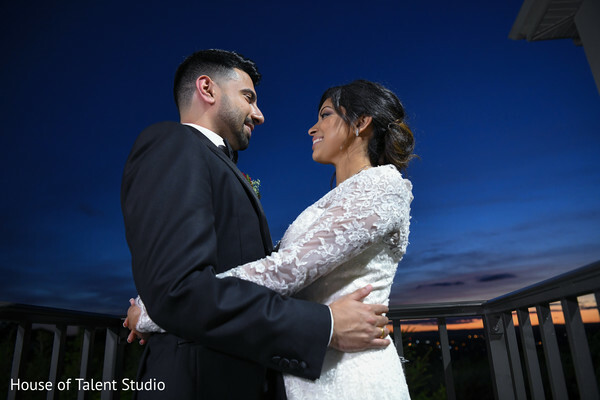 They loved the venue and food! They enjoyed the reception. Was there a really special moment in your wedding that constantly replays in your mind? 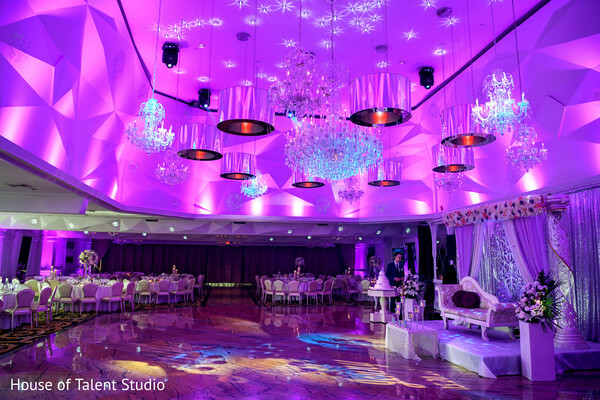 For events other than your ceremony, please tell us as much as you would like about the decor, style, dances, and all the special details. Do you have any words of wisdom for Brides-To-Be? It's never too early to start and not everything will go as you want. Assign assignments to people you trust and know will get it done. The day before the wedding get lots of sleep and remember to have fun the day of your wedding because it will go by really fast. House of Talent Studio and Heena Das Beauty are members of the Platinum Guide. Love what you see? Explore their portfolios.